We offer a free branded shipping service to our resellers where we can ship orders directly to your customers with your own preferred branded paperwork. This service is quick and simple to set up and it enables you to maintain a personal approach with your customers. We understand that some of our resellers regularly ship products on behalf of their partners. We therefore offer you the ability to save multiple letterheads to your account. You can simply select the chosen letterhead for the specified order within ProSys Ordering. 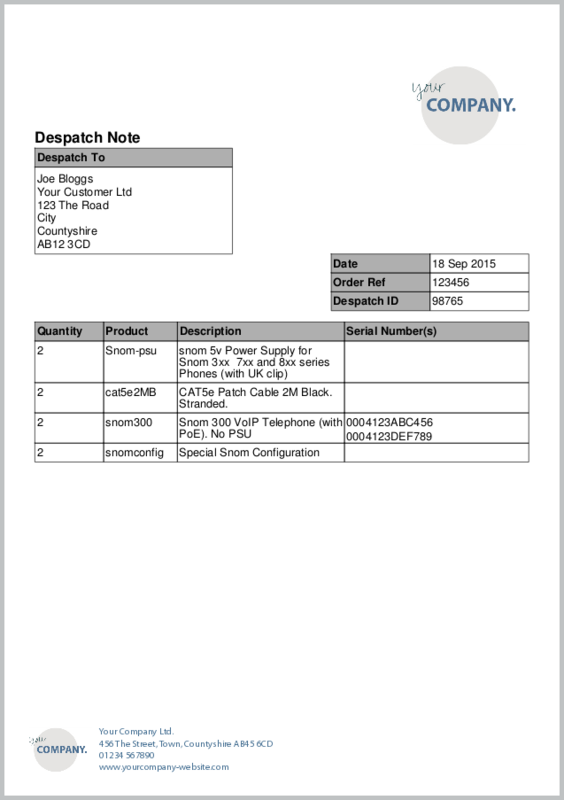 However, we also know there are occasions when plain documents are better suited, this option will remain available. To set up your branded shipping you simply need to provide us with a copy of your letterhead as a PDF document and we will take care of the rest. If you don't have a letterhead, don't worry, we can create a letterhead for you with your company logo and address.